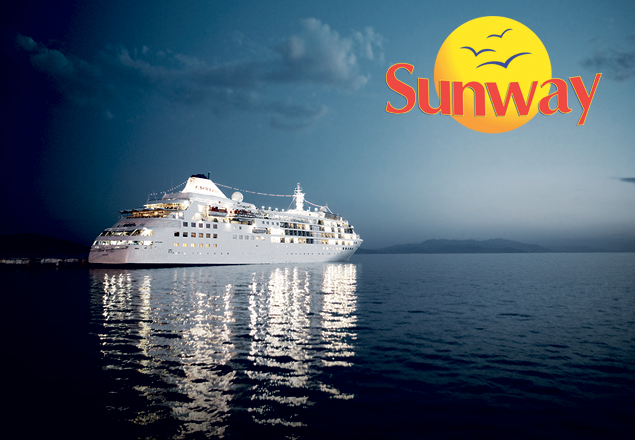 Luxury All-Inclusive Mexico & Caribbean Cruise with Sunway and Silversea Cruise Line. You are cordially invited to experience the extraordinary world of luxury cruise travel. The world of Silversea. It is a world of European elegance and casual sophistication, All-inclusive, highly personalised and breath-taking in scope. All of their suites feature ocean views, and many with a private teak veranda. Aboard the intimate luxury ships you’ll discover a passion for perfection inherent in everything they do — personalised service that attends to the unspoken, exquisite cuisine inspired by Relais & Châteaux, spacious lounges and intimate bars where conversation flows freely and nobody has to reach for the tab. Solicitous attendants create a privileged realm of relaxation and indulgence. Silver Spirit combines the award-winning hallmarks of the Silversea luxury cruise experience with expanded amenities and exciting new venues for dining and entertainment. Dine on fresh sushi and innovative Asian fusion cuisine at Seishin, meet friends at Stars Supper Club for small plate specialties and live entertainment, or recharge and rejuvenate in the 8,300-square foot spa and fitness centre of the Silver Spirit. Featuring the largest suites in the Silversea fleet, Silver Spirit offers a lively, convivial atmosphere for cosmopolitan travellers who enjoy a greater variety of shipboard diversions, yet crave the personalised service and authentic and “up-close” experiences for which Silversea is known. Restaurants are comparable to the finest on land and the atmosphere is delightfully convivial thanks to like-minded guests with a common bond: the love of travel. From butler service for every guest to journeys that are infinitely customisable, Silversea luxury cruises are the gold standard by which all others are judged. In a world of multi-national conglomerates, Silversea Cruises is owned and operated by one family - the Lefebvre’s of Rome. This means genuine pride in ownership and a true Italian passion for embracing the best of life and a personal commitment to maintain the high standards of cruise excellence that have been the cornerstone of Silversea from the very beginning. Offer dates are subject to availability.